Nairobi, the financial capital of Kenya is the economic gateway to East Africa. Nairobi has quickly emerged as the biggest economy in the region. Nairobi is home to the regional headquarters of a number of prominent global companies looking to grab a firm foothold in the continent, creating a dynamic employment market. The city and its government are keen to provide infrastructure to support new and old business ventures and a number of IT companies have risen providing employment opportunities to motivated individuals seeking to become a part of the vibrant employment scenario in Nairobi. The exponentially growing employment opportunity in Nairobi attracts skilled professionals from around the world. There are a number of e-learning options for individuals looking to take advantage of the demand. KnowledgeHut, a leader in online business courses, offers CSD certification in Nairobi tailored to suit professionals seeking to become certified scrum developers. IT start-up ventures have been on the rise in Nairobi and the scrum framework is increasing in popularity creating a huge demand for certified scrum developers. 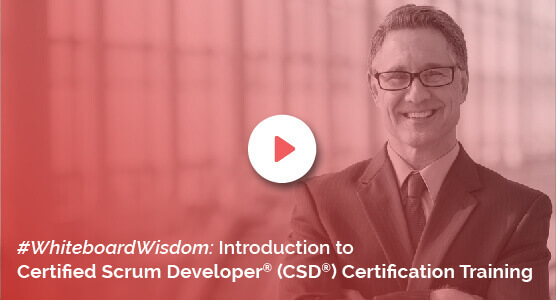 The course in Certified Scrum Developer certification is also suited for mid-level professionals looking to update themselves with the latest developments in their field to firmly establish themselves as a software developer in the scrum environment. CSD certification in Nairobi is designed to expose the candidates to the fundamentals and techniques in the scrum framework and allows them to be able to demonstrate their skill in their workplace. Certification in software building in scrum environment will definitely add to your existing professional repertoire and help you get ahead in your career. The online modules of the CSD course in Nairobi are comprehensive and are constantly updated to stay in pace with the latest innovations in the subject. Pursuing CSD training in Nairobi will definitely provide you with the edge to stay ahead of the curve. The extensive online training given to candidates will ensure that one is able to clear any exams on the subject with relative ease. The price of the Certified Scrum Developer training in Nairobi provided by KnowledgeHut is reasonable and will help one stay competitive in the market.